From October 1st through 15th, Public Workshop will be design-building a fantastic play landscape in the Pennsylvania Horticultural Society’s PHS Pop-Up Garden at 20th and Walnut. Working with a core group of Philadelphia teenagers and young designers, Public Workshop will engage families, schools, and children in creating this one-of-a-kind adventure playground. Initially taking the form of a series of soaring mountainous islands and coves, the space will radically transform over the span of two weeks as participants collaboratively ‘build’ their own stories, play, and structures on these forms. Arising from simple materials that one can find at any hardware store, this engaging placemaking project will explore the roles that ‘play’, a civic-oriented DIY culture, and young adults can serve in Philadelphia’s future. This project is part of Tiny WPA, a program initiated by Public Workshop that places young adults at the forefront of stimulating community engagement and civic innovation in Philadelphia by empowering them to design and build improvements to the City’s public spaces, schools, and micro-infrastructure. This project will coincide with Design Philadelpia and there will be a related public event on October 13th from 10-2 pm in the garden. Both weeks we will be building Monday through Friday from 12-7 pm and Saturday through Sunday from 11-3 pm (minus the Design Philadelphia Event). Interested in stopping by for a visit? Interested in just stopping by to build or play for an hour or two? There will be daily ‘Open Build’ sessions for passersby to build, tinker, imagine, and play. Please take a moment to fill out this quick questionnaire and let us know when you’re visiting. 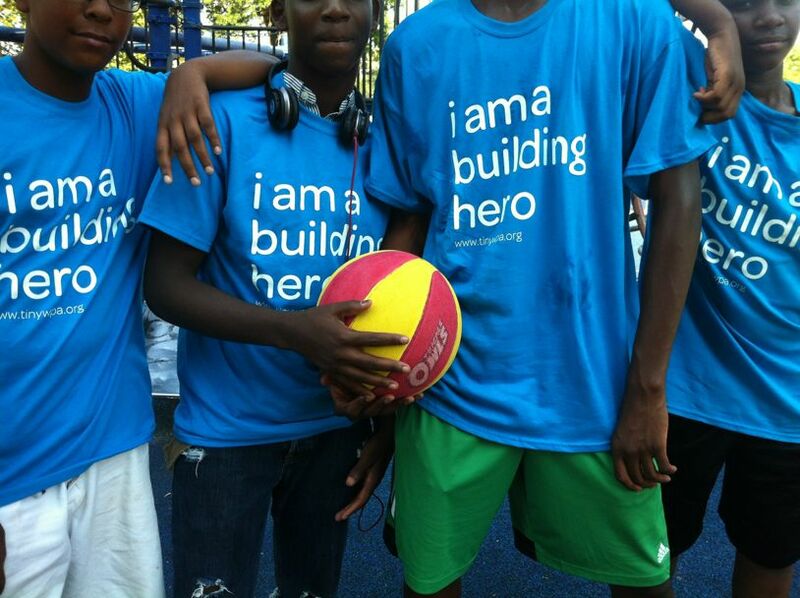 ‘Want to be a building hero! and have a more hands-on role in the design-building of these fantastic structures!? We are looking for a few more great teens and young adults to be part of our core team. Learn a lot, get your hands dirty, build something awesome with stellar people………get a great experience for your resume.. Apply here!